Since 1909, the Visiting Nurse Association of Hanover & Spring Grove has been a cornerstone of the community. Our mission as an independent, community-based, not-for-profit organization is to bring professional health care to the home and to teach families how to care for their loved ones in all stages of life, regardless of their ability to pay for that care. We should strive for quality and excellence in every way. Every person must be treated with dignity and respect. We must use resources wisely and efficiently without compromising quality. 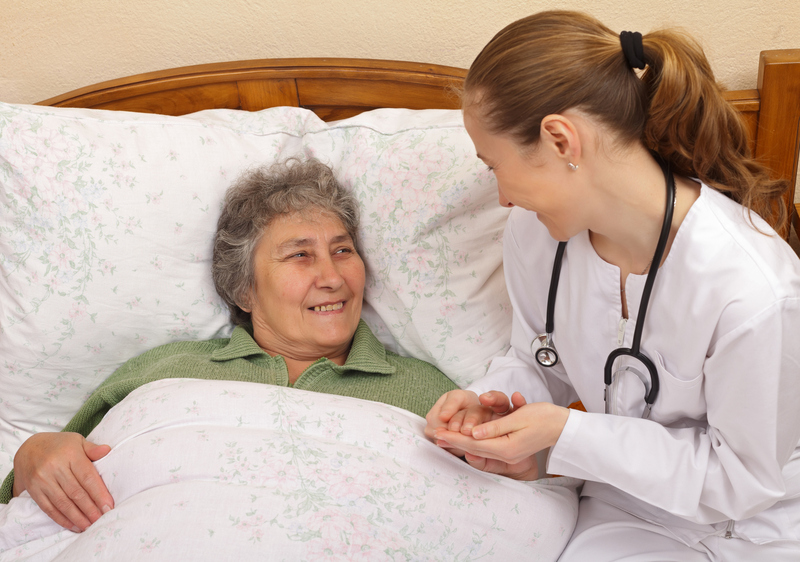 Personal safety, autonomy, independent functioning and confidentiality are priority aims in quality home care. Qualified workers are valued resources to be encouraged and developed through on-going professional development. Our goals are best achieved through teamwork and collaboration within our organization and community. The Visiting Nurse Association of Hanover & Spring Grove will be recognized as the most compassionate, effective, and professional provider of choice for home health care. When the time comes to consider hospice care for yourself or a loved one, you can trust in the Visiting Nurses Association of Hanover & Spring Grove to partner with your family in providing the highest quality in-home care during this difficult end-of-life period. Our highly qualified team of nurses and health care professionals offers care not only for patients with terminal illnesses but important support for their circle of loved ones and caregivers. We also help verify and begin coverage through insurance plans or help you find other assistance. Managing patient comfort. Pain management is a key component in end-of-life care, and our staff will work with the patient and their health care team to ensure that a high level of comfort is achieved and maintained. Enabling patient choice. Patients have many different choices when it comes to end-of-life care, including whether to continue treatments and therapies, how final visits and plans are facilitated and even the scheduling of daily needs. Our staff works to honor each patient’s wishes, family values and cultural beliefs. Embracing patients and families with high-level support. Terminal illnesses are not just difficult physically but also spiritually and emotionally. Our staff includes spiritual counselors, social workers and highly trained companionship and respite volunteers to envelop the patient and their loved ones with the highest level of support. The VNA will hold its 11th Annual Wings of Hope Butterfly Release on Sunday, June 2nd at 3:00 p.m. at St. David's Evangelical Lutheran Church on Musselman Road in Hanover. The Butterfly Release honors or remembers family and friends and benefits our Hospice program. This beautiful remembrance of our patients' loved ones is held rain or shine. For more information please call the office or email Kim Hackett at khackett@vnahanover. org. Butterflies can be purchased for $25 and the form can be found on the Support page of our website under Donations and Special Events. Select the butterfly picture to access the form. Share This . . . .